Trance is the electronic music genre that just won't lie down, with its sound continuing to pop up all over the place. 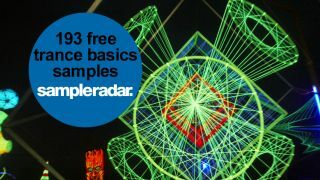 If you're a would-be trance producer this week's SampleRadar collection will give you the basic project elements you need to get started. The trance basics samples are divided into five folders: Beats, DrumHits, FX, Loops and Rolls. The trance basics samples are supplied in a zip file, so you'll need to extract them before you can see them. Enjoy!